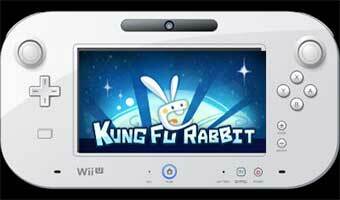 Welcome to the official discussion thread for Kung Fu Rabbit on the Wii U! To start, please add this game to your log, add it to your collection (if applicable), and (when you are ready) rate it using the link above! I picked this eShop game up after reading some decent reviews on places like Nintendo World Report, and having just started playing it, I can say it's a fun and challenging platformer game. Having gone through the first world and starting into the second world, this game seems to emphasize your platorming skills as you jump and navigate your way to the goal. The hero can do some wall jumping too, making him very agile and able to reach all kinds of hard-to-reach spots. Which you'll want to do so you can collect all the carrots. I'm not sure how long it will take to get through the game (the reviews say about four hours is typical), but at $5 U.S., it's a fun game worth checking out. (And luckily I got this when it went on sale). Check out Kris Wright's article There Will Always Be Ninja Rabbits which includes impressions of Kung Fu Rabbit! Roy's Top 10 Nintendo hand bosses! I really like the bold, bright colors used throughout the environments. They're somewhat simple, but pleasing to the eyes. And so far I am getting all the carrots. If I miss any, I simply retry the stage. The stages are pretty short so it's no big deal. 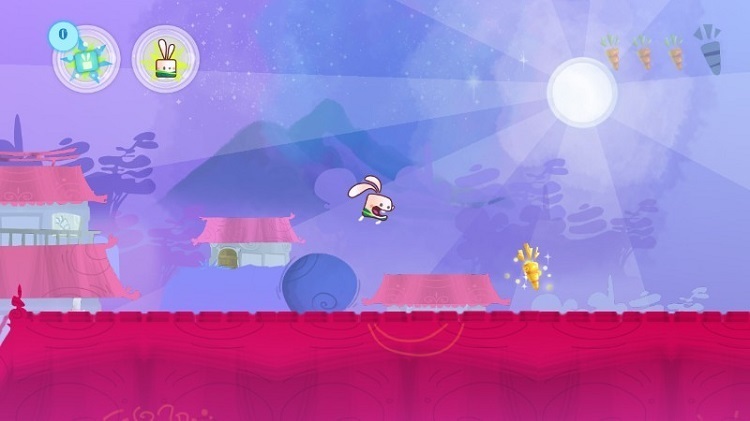 I started a review, of sorts, for Kung Fu Rabbit. I'll finish it one day. Cool, hope to see it! Really? What is it about this game that would elicit such a strong response of displeasure? There is nothing good about it. Controls are bad, graphics are medicore. Upgrade system is stupid, music is bland. One of the worst games of last year. I've gotten all the carrots in first two worlds and am now starting world 3. I haven't been trying the bonus stages yet, I'm sure there will be some tough challenges there. Hmm, I feel like we played different games. I'm not having any problems with the controls. The bunny has a floaty jump but I can control him really well. The only problem I've been having sometimes is he tends to slide off the edge sometimes when one of his feet is not touching ground anymore. Wall jumping is easy anyway, so that hasn't been a big deal. Mediocre graphics? They're simple, sure, but the visual style is pretty clean and smooth. What I like less than the graphics are the sound effects. That bubbling sound when you are near the black deadly goop that insta-kills can be quite loud and annoying. I'm not familiar with the upgrade system. I've been playing the game using only the jump button (and of course, attacking without button presses, which is done automatically when you are facing the enemy in the correct position). Are you talking about the stuff you can buy in the dojo? I agree, the music can be pretty bland. But it doesn't detract much from the game, at least for me. But it's cool, this isn't exactly 'best game ever,' and I can recognize its flaws, but at the same time it's decent enough for me to keep playing. I've played much worse! Did you play this on Wii U? Yep. The in game store is essentially micro transactions with in-game money and completely gets rid of the challenge of some areas. Sliding of off blocks is stupid and should never have been in it. The game tries to emulate Super Meat Boy and completely fails in all areas. Visual Style may be smooth, but when it barely changes throughout the game in both difficulties, it gets old. Added a link to Kris Wright's article There Will Always Be Ninja Rabbits in the OP (includes impressions of Kung Fu Rabbit)! If you haven't read this entertaining piece, I advise you to check it out.